Whether it's to win the World Cup, get to the top of the hill first, or just ride a trail with confidence I can get you on track. Doesn't matter if you've been riding for 20 years or never sat on the bike, at Roadie Rob's Bicycle School Rob can give you the skills you need to get the most out of your riding experience. Because Rob has been coaching a long time he has not forgotten what it is like to be a Beginner. He will analyze your technique and work out the best way for you to be getting around the trails and having fun. 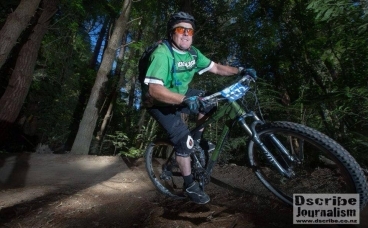 Rob has also competed at National level at Cross Country, short and endurance, Downhill and International Gravity Enduro competition. He understands what it takes to get on the podium or just achieve your goals. Rude Rock Coronet Peak N.Z. Wayne's World Double made Easy.